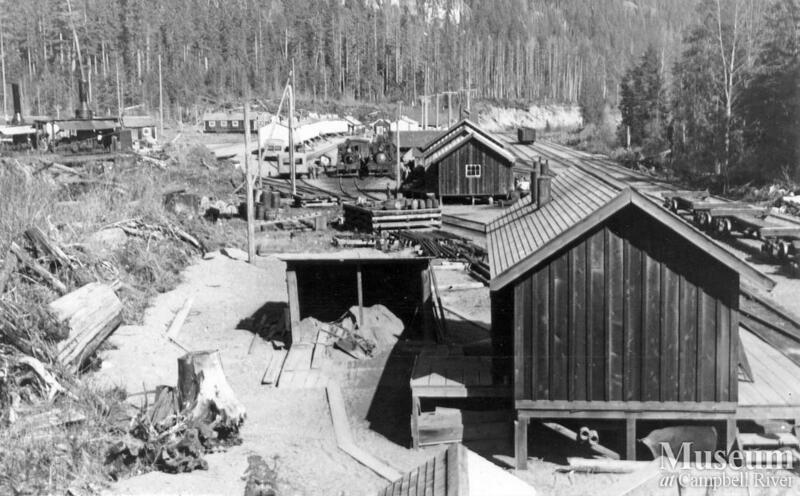 View of ERT Camp 9. 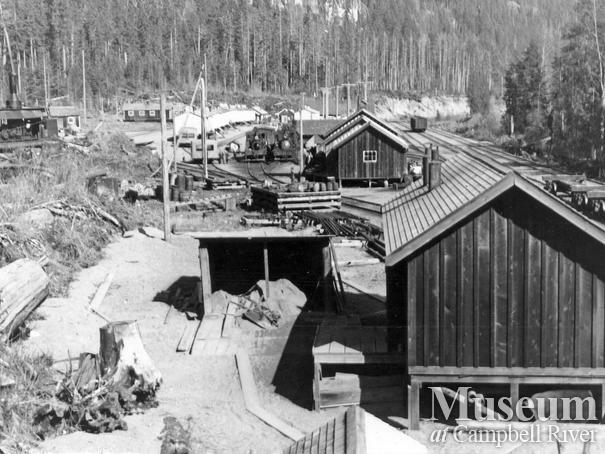 See page 146 of Robert Turner's "Logging by Rail" for a plan of this camp. The locomotives in this photograph are sitting on the "Loco Spur" identified in Turner's drawing. The area where this camp was located is now underwater as a result of the flooding associated with the hydro development project in the area.